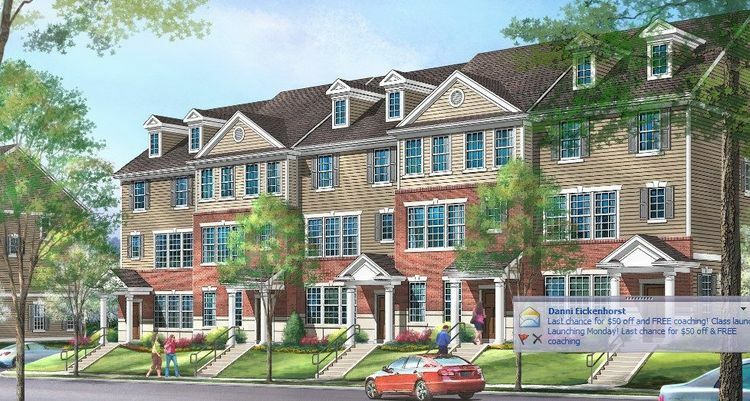 The Richmond Heights City Council Monday night (March 21) gave final approval for the new Central Park Townes residential development, near the Metro-Link tracks in the Lavina Terrace subdivision. The 42-unit townhouse complex, on the former grounds of the Brith Sholom Kneseth Israel Congregation at 1107 East Linden, will offer units priced from the upper $300,000s to low $400,000s, according to Pulte Homes, the project developer. Construction is set to begin during the second half of this year. The city council gave second gave second reading to an ordinance subdividing Lot 12 and part of Lot 13 of Lavina Terrace into 42 separate lots to accommodate the townhouse complex. Final approval came on a motion by Councilman Rick Vilcek, a second by Councilwoman Camille Greenwald, and a unanimous vote. Council members unanimously approved rezoning of the tract from Single Family Residential to Planned Development at their Oct. 19 meeting.